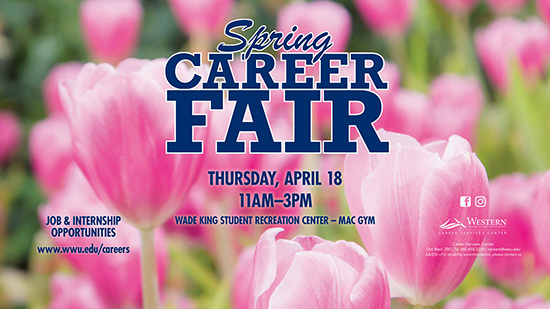 Whether it is your first quarter at Western or your last, a career fair is an invaluable opportunity to work on networking skills, learn about employers and gather information about internships and jobs. Why go? If there is even one organization or industry you are interested in, you have a reason to go! Please click HERE to view jobs and internships visiting employers are hiring for! Make sure to check the on-campus interviews taking place the day after the fair.